Ruth Fischer started out her life as quite a communist. 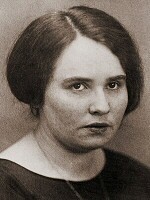 In her early 20s, she co-founded the Communist Party of Austria. She was also one of the early party leaders in Germany.